Howard Wilson was born in the Captain Cook's country in the Northeast of England. 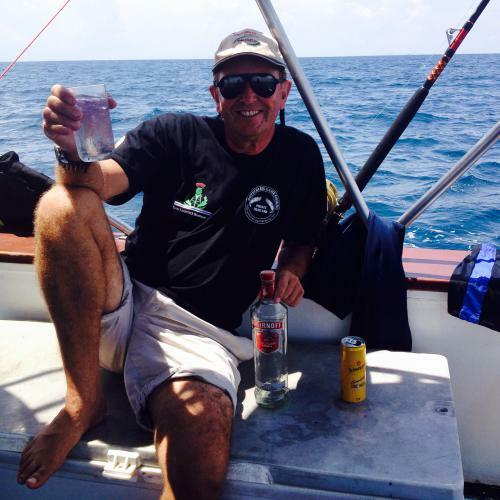 Howard was brought up on the sea and has always had a passion for the waters. 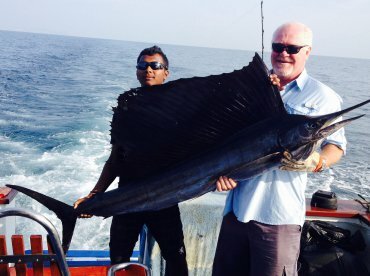 Having fished all over the world, Captain Howard decided to pursue a career as a charter captain in Thailand. 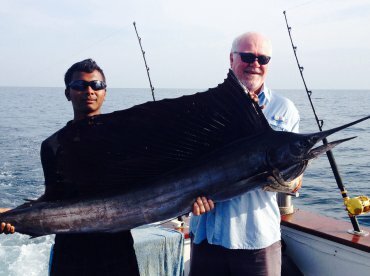 His personal fishing repertoire includes fishing for Marlin in West Africa (Nigeria), South America, and Thailand. First of all, I highly recommend joining this fishing trip. 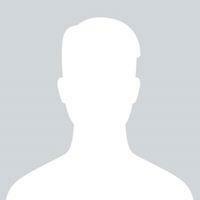 My boyfriend and I had a great time on a boat under great sunny weather. We meet up with captain Howard at 9am. Unfortunately, he could not take us to the trip as his boat had some issues on that day. However, he arranged another boat and another captain and everything went very smoothly with no issue. Also, Howard was very responsive on emails and very flexible with the schedule. So didn’t have any concerns before the trip. It was a beautiful sunny day on a boat, and luckily we hit a big group of tuna twice on the way to the island. Although we did not hit any big one, we caught 11 medium size tuna (bluefin tuna and bonito tuna). There were one Thai fishing support man and one Thai lady on our boat. They cleaned and cooked the tuna very nicely and served us very fresh sashimi and fried tuna on the boat. We arrived at Racha Yai at around noon, and enjoyed snorkeling there. We did not catch any fish on the way back, it was very nice just relaxing on a boat with beer, and taking a nap under the nice weather. It was our first time going on a fishing boat trip, We would defenitly try again on our next trip! Thanks guys for the nice report. Yes all good and i know that you would have a great day. Captain Howard was sick but made an effort to meet me and made arrangements for another captain, the trip was not delayed, Was a little windy in the morning and water temp was low and this didn’t favour me at all with only catching one small fish for the day however it was not from lack of trying the crew where very professional and tried there best all day, non stop to catch a fish, crew spoke very little English which made it hard to have a proper conversation as i was on the boat by myself and two other Thai people. the equipment was good and lunch was excellent would defiantly try again one day, highly recommended. Thanks for the review and your comments all well taken. I sprnt the next 3 days in bed only ending up in hospital so sorry I could not make the trip. As we said the weather and wind was not in best favor so the crew can only do there best to try and find the fish. My son and I visited Thailand to celebrate his graduation. We joined my brother who lives there and spent 3 days in Phuket as part of the trip. My son wanted to fish while there and so we were lucky to find Captain Zow and Queen Marlin. The Captain was personable, laid back, and friendly. 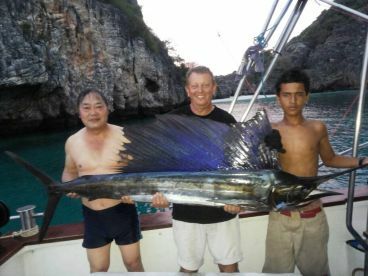 We fished all morning, stopped to snorkel and have (an excellent Thai) lunch at a completely deserted cove, and continued fishing in the afternoon, all while getting a tour of the stunning scenery around Phuket. We caught about 6 Spanish Mackerel, one of which we had sashimi-style on board, and another prepared Thai style by Captain Zow’s wife at their restaurant, The Ship Inn. 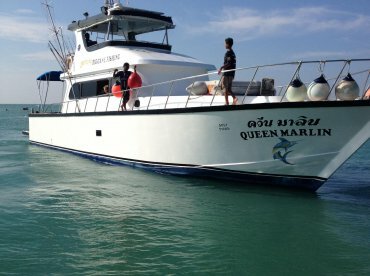 All in all, I highly recommend this boat and this captain… this day was a highlight of our trip to Thailand. Was a wonderful day spent with your son and brother. I am so happy that we done all we could to make your trip a memory for life. Thanks for the report, been a bit slow to reply due to sickness but full power now. really glad that you enjoyed the day. Fishing has been slow for several months maily due to commercial fishing and hard for the goverment to control it. The crew was very friendly and the boat old but comfortable. Unfortunately fishing was very very poor. 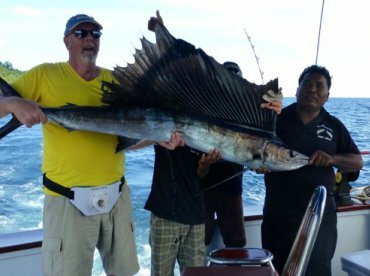 I cannot say much about the fishing experience due to the fact that it was the first time I went fishing in that area, but a full day fishing with only a skipjack tuna is less than I expected. The day worth the money for a beautiful snorkeling we did in an island where we were the only boat present. My impression is that this area is very much pressured by professional fishing boat, so very little gamefish present.